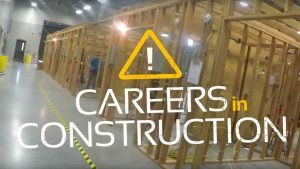 Meridian Technology Center (MTC) provides North Central Oklahoma a full complement of career training programs for secondary students, adults and business and industry clients. Meridian offers full-time training programs in more than 70 career majors and is committed to meeting the employment needs of the district. Secondary students living in the district are eligible to attend tuition free. Scholarships are available to qualifying adult students. For many programs, students may earn college credit through Cowley College, Northern Oklahoma College or OSU Institute of Technology. Meridian offers nearly 300 personal and professional interest courses from floral design to first aid to Facebook. MTC works with area business and industry leaders and advisory committees to identify and address critical workforce needs of the district’s communities. Business and Industry Services offers customized training in the areas of computer, industrial, staff and management, and safety training. The Center for Business Development offers networking and education, consulting and coaching, and business incubation for new businesses or those looking to expand.